great team up of two expertly crafted characters. A great evil has awakened in the land of Corona, a terrible demon determined to spread death and misery. His goblin armies and fearsome giants ravage the settlements of the frontier, and in the small village of Dundallis their merciless attack leaves behind two shattered orphans: Pony and her lifelong friend, the youth Elbryan. Taken in by elves, Elbryan is raised to become a formidable ranger - a fateful role that will lead him into harrowing confrontation. 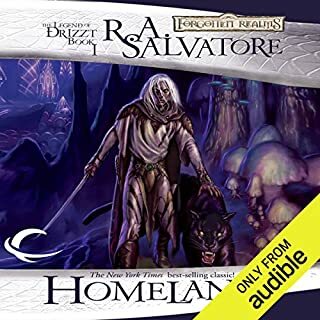 I've always loved the stories of Drizzt the dark elf, and while my heart longs for the Salvatore's Safehold, the very first Drizzt novel in the trilogy, I have to say that I truly enjoyed this series of novels that came out later, due to their rich defining shorelines and Byers love affair with the dark elf universe. 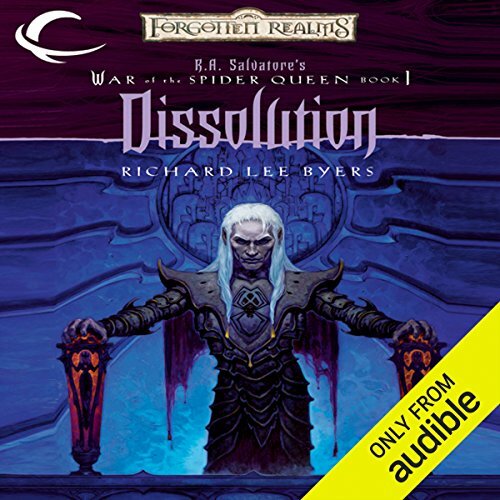 Be warned: This series will connect you to a great line of audiobooks that have just been released at Audible, some 200 such books in the Forgotten Realms in the Dungeon and Dragons family of books. Some of these books are so very good listening, that you'll want more. This is such a series in that family. It's dark. It's Machiavellian. It's descriptive and delightful. Its got great characters, dark purposes, vast family houses in turmoil, royal intrigues and forbidden magics. It is, in a word, magnetic. I enjoyed this long ago, and again today. So much so, that the entire series is now in my Audible library. So, if you do NOT want such engrossing and entertaining listening, move along. Otherwise, enter the dark elf kingdom of Menzoberranzan, mortal, and be satisfied with its dark gifts! I recently listened to the first trilogy about Drizzt Do' Urden. I really enjoyed the books but by the third book I missed the setting of the Underdark and Drow society. So I was excited when I discovered this set of books. 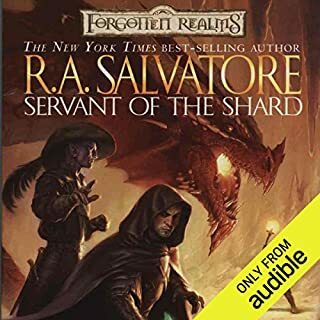 I was taken back into the Underdark and backstabbing Drow society, the narration is great and the storyline is satisfying and easy enough to follow. I am just finishing the second book now and I think I'll end up making it through the whole series. If you like D&D, then you will absolutely love this book. It has a wide variety of demons and creatures that will light up your imagination. I believe Rosalyn's performance is very good for the most part. Sometimes the voices sound similar, but I enjoyed the book very much. I usually listen to the book while commuting to work and back. Rosalyn Landor really brings this series to life! Absolutely. My favorite thing about it is the voice acting. Rosalyn Landor's narration sounded odd at first. The pronunciation of some words and phrases were strange, but I soon got comfortable with it and found that it actually enhanced the feel of the setting and the culture of the drow. She is also exceptionally great at making each character sound distinct, without resorting to outlandish accents. She does both male and female voices well. I can't stress enough how the subtlety of her voices really enhances the listening experience. 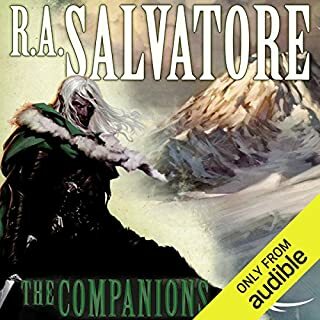 On top of an already fascinating story, this audiobook series is a must-have for R.A. Salvatore fans, as well as other sci-fi/fantasy lovers. Not quite. I can't listen to audiobooks for much longer than 2-4 hours at a time. I get restless and lose concentration. This series really pushed the bounds of that though. I felt entranced by the story and character interactions. i was a little leery about how a female narrator would accomplish such a wide variety of character voices, when so many of them are supposed to be hulking, gruff monsters. wow, did she pull that off. i was never once distracted by a character voice seeming out of place. obviously, i don't expect ANY narrator to adapt a "death metal singer's" rasp, especially if they are voicing a 5-book series. but everything she does is appropriate. i wish Salvatore would have hired her instead of a couple of the incompetent bumblers that have read a few of his other works. the story overall is quite enjoyable, and resolves appropriately. there are some great characters, and web woven is entertainingly complex & twisted. What made the experience of listening to Dissolution the most enjoyable? great portrayal of these characters that would otherwise be the antagonists. What other book might you compare Dissolution to and why? 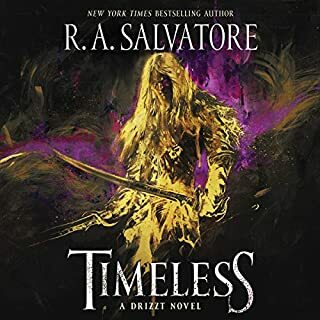 well the rest of the series..Obviously if you enjoy menzoberranzan but would like a tale not centered around Drizzt this is a must have. I don't generally review books..but I wanted to comment on on the Narrator. She's fantastic her voice reminds me of Marina Sirtis's.She has a great pace and cadence. If you love Drow this series is for you! What did you love best about Dissolution? I cannot get enough of Menzoberranzan and the Drow so it already had a lot going for it. The characters were really good and Pharaun in particular is my favorite. Landor's narration grew on me quite rapidly. 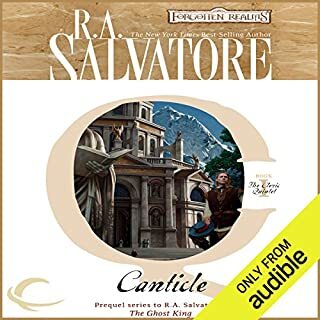 It can be a little difficult hearing a female narrator doing male voices at first - it seems to be easier the other way around - but she really nails the performances. She gave lots of life to all of the characters and it was quite compelling. never read them before, but now I feel hooked! great story and perfect narration. awesome. started out slow but later on grabbed my interest. cant wait to read the rest of the series. Would you ever listen to anything by Richard Lee Byers again? This is a tough book. It sets the scene for a major change in a really fun area to read about in Faerun. 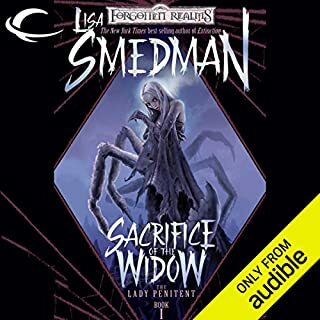 I read this series years ago and I am revisiting it via Audible. Not the best book in the series, but it sets the scene. If you can make it through this book, the ones that follow are really good.